Ongoing Operations provides secure community cloud solutions, disaster recovery, and Credit Union technology solutions. As the leading Disaster Recovery & Cloud CUSO, we believe we are in a unique position to drive down cost and allow most Credit Unions to afford technology equivalent to large banks. This page provides and overview of Ongoing Operations Mitigator – Credit Union DDoS solution. Why Do I Need It? Some attackers want to disrupt your company through brute force, without Anti-Dos mitigation services you cannot prevent someone from taking down your website or company using the internet. What Are The Likely Outcomes? OGO’s anti-dos service will provide realtime failover and rerouting capabilities tying both your production and disaster recovery platforms together for the most robust solution. Why OGO? OGO has a unique partnership with Radware that enables us to provide onsite protection as well as high end scrubbing capabilities locally and offsite for all of key infrastructure. 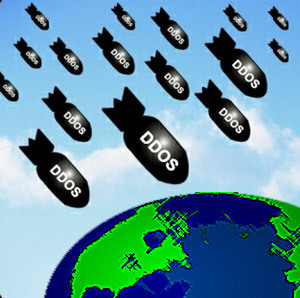 DDoS, or a distributed denial of service, attack is a method used to deprive an internet resource of its ability to communicate with the outside world. They generally work by using a botnet, a collection of computers infected with malware, from around the world to send traffic to an internet resource. This fake traffic is then used to flood the resource, taking it offline for the duration of the attack or otherwise making it unavailable. How does it affect your Credit Union? Voice, Data, third-party connections all ride on the public internet. A determined attacker can overwhelm your internet connection and take down voice, data, website, online banking and other services thru DDOS attacks. DDOS ATTACKS DO NOT JUST TARGET YOUR WEBSITE OR ONLINE BANKING. These attacks may take multiple hours to mitigate and create large distractions for IT Staff. Sometimes DDoS attacks are used to distract the Credit Union for some other fraud purpose. For example, one Credit Union recently experienced a DDoS solution and later found wire fraud was committed simultaneously that was missed because of the DDoS Attack. What is different about Ongoing Operations Solution? OGO Expertise to assist in implementation, mitigation, etc. How does it work day to day? How does it work in a DDoS Attack? -If volume of attack exceeds local appliance capacity attack is redirected to OGO for mitigation and clean traffic is delivered back to CU. How does it get installed? How much does a DDoS Solution cost? Our product is based on the size of the Credit Union and the requirement for a local appliance. In general the solution will range from $500 to $3000 a month. In general the current commercially available similar solutions to Credit Unions cost between $5000 and $10000 a month. Why should a Credit Union select Ongoing Operations Mitigator solution? Why shouldn’t a Credit Union select Ongoing Operations Mitigator solution? DDoS, DNS, ICMP, Oh My! How do DDoS mitigation solutions work? If you would like more information or to get a price quote on Ongoing Operations Protector solution – fill out this quick form.